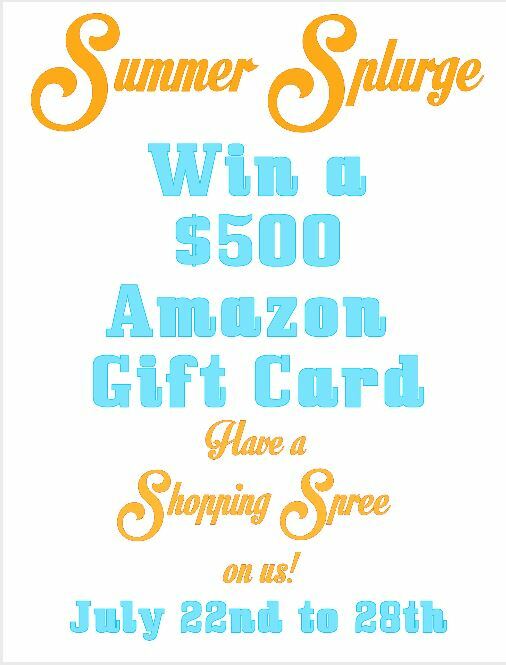 Summer Splurge Giveaway - Chocolate Chocolate and More! Let’s just keep this short and sweet. It’s Summertime. It’s hot out. And here it’s been raaainnny! What do you do when it’s raining all the time? You find something to do like shop online! What makes shopping really fun? Shopping with free money!!!!! So here’s the deal. Some of my bloggy friends got together and it’s simple. If you win, you get to go on a shopping spree. A $500. 00 shopping spree. Shop for you, shop for the kids, shop for back to school, get started on that Christmas shopping. It’s an Amazon Gift card so you can pretty much buy almost anything. Just use the Rafflecopter widget below to enter and good luck! 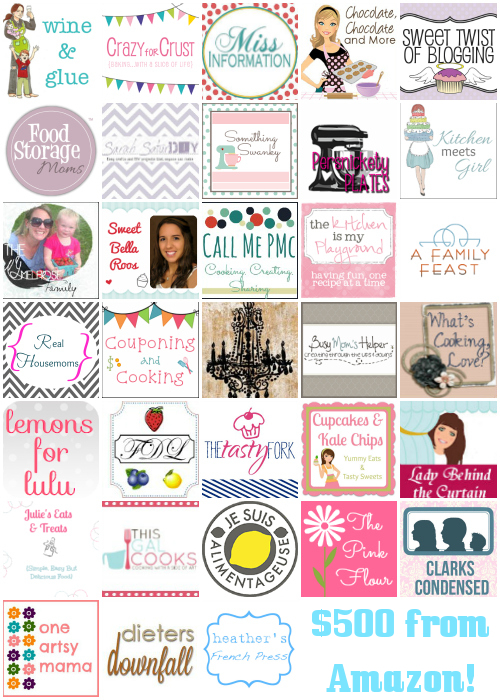 Thank you to all these bloggers for helping to make this giveaway possible! I want new workout clothes! I would finally replace my Kitchenaid mixer — It’s over 40 years old and I hold my breath every time I use it. Thanks for the giveaway opportunity. I would splurge on a KitchenAid stand mixer! Amazing Giveaway!!!! I love finding new bloggy friends! I would spend it on my boys. Love your website and all the recipes! So glad I found your site! Thank you for your amazing ideas! I really enjoy this site! Thank you for sharing your ideas! I l wasn’t able to leave a comment about what I would use the $500 gift card for….I would splurge on a kitchenaid stand mixer! The KitchenAid Mixer sounds great. Have always wanted one but think it would be fun to Christmas shop with my little granddaughter and her Mom. We could all have fun together! school supplies and clothes for my children!! I’m not sure what I’d splurge on. Lots of little stuff I bet. Lots of new books & cookbooks. Toys for the kids maybe. I would buy things for my new home. I would love to splurge on gifts for Christmas!